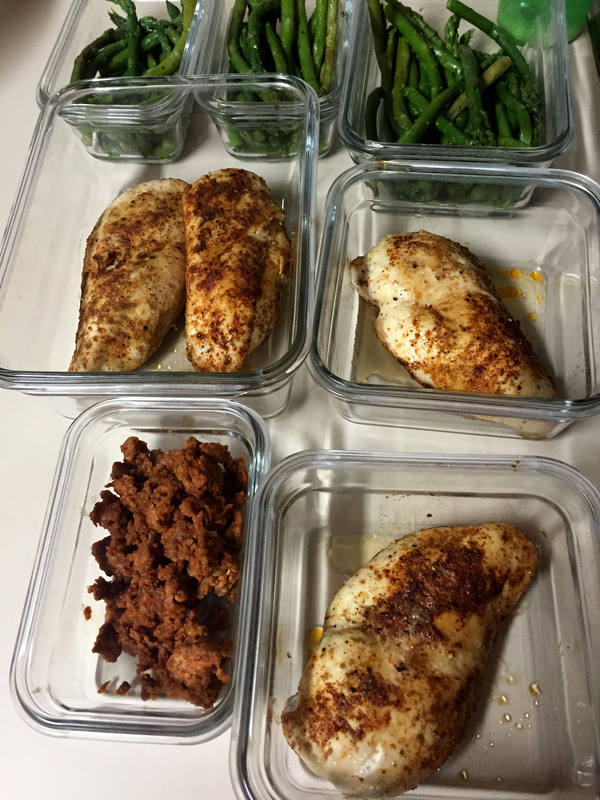 Whole30 DAY 9 – Feelin’ Fine! 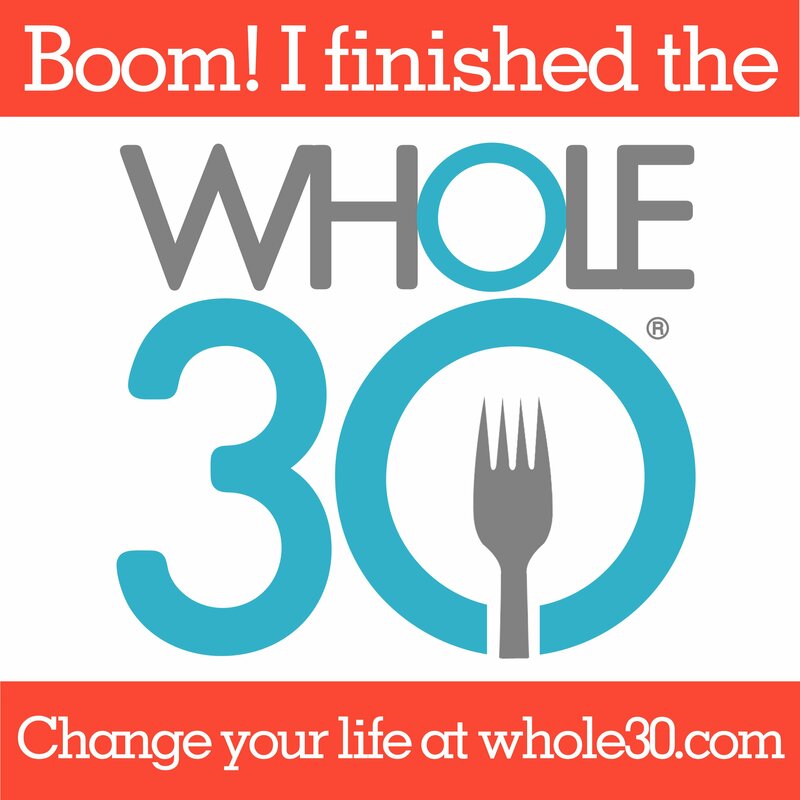 It’s a rest day for me from the BOOM Box so today will be all about the Whole30. I had planned on reviewing Choice Organic Tea as well but I’m still waiting to hear about possibly doing a giveaway as well. So if you love TEA stay tuned in. 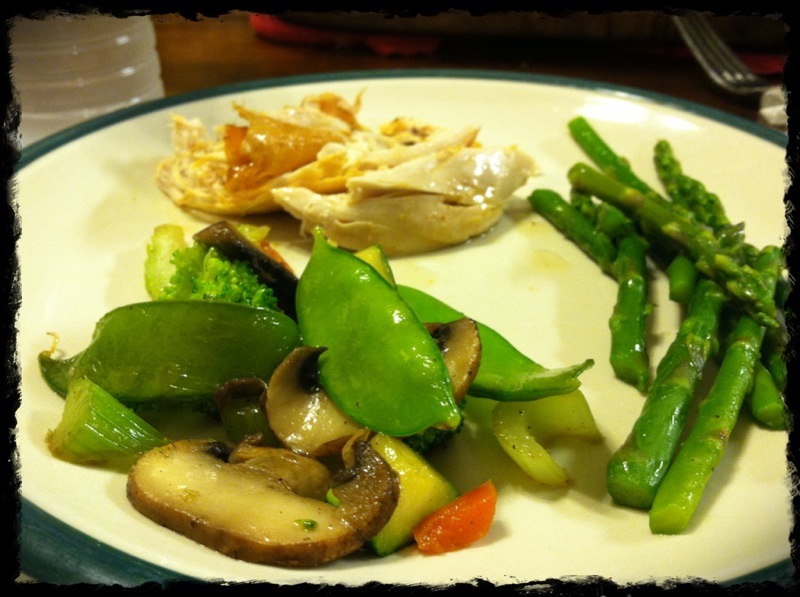 Whole30 Day 9 FEELIN’ FINE! I’m on my 2nd day of week 2, almost 1/3 of the way there. YAY! And so far it’s been superb. This morning was probably the only day so far where my meal wasn’t so balanced. But it’s still clean. I don’t think there’s a rule that tells me I have to start over based on an unbalanced plate. Please don’t tell me I have to start over! 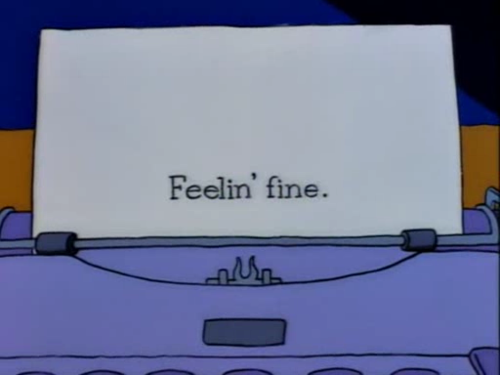 Now let me get back to that pulled pork. I haven’t tried it yet, but the kids sampled it this morning and their only words were MMMMMM. I know that’s not a word, so their only sounds were MMMMMM. As most of you know I did the 21-Day Sugar Detox last year in May. And I struggled a bit with that but came out with positive results in the end. Recently I saw a facebook post about PULLED PORK. I love pulled pork preferrable drenched in some yummy bbq sauce on a bun with some coleslaw on top and topped off with another bun! 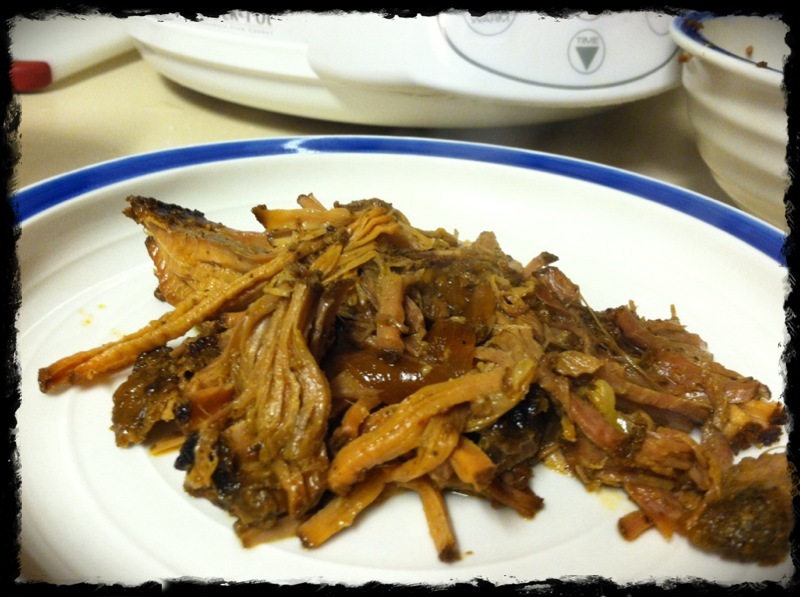 Now seeing as that I can’t have a bun and I’m too lazy right now to find a Paleo cole slaw solution, I was just intrigued in general that it was pulled pork and it was fit to be on the 21-Day Sugar Detox. It just so happens it’s in line with Whole30 as well. I really couldn’t imagine why it wouldn’t be as they eliminate the same food groups for the most part. So I clicked the link to the post HERE and found the recipe. 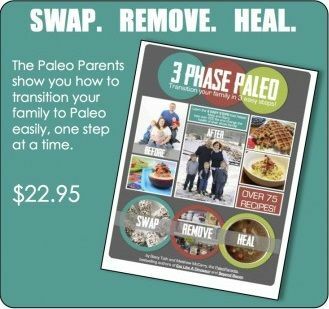 It comes from the folks over at PaleoPot whom I had never heard of until now. I am anxious to see what other recipes they have to share. I indeed had all the ingredients except for SMOKEY PAPRIKA so mine probably tastes a little different because I used plain ol paprika. Either way it smelled WONDERFUL in my house this morning. And it did PULL apart pefectly. I’m excited for lunch today so I can know it tastes as good as it smelled. 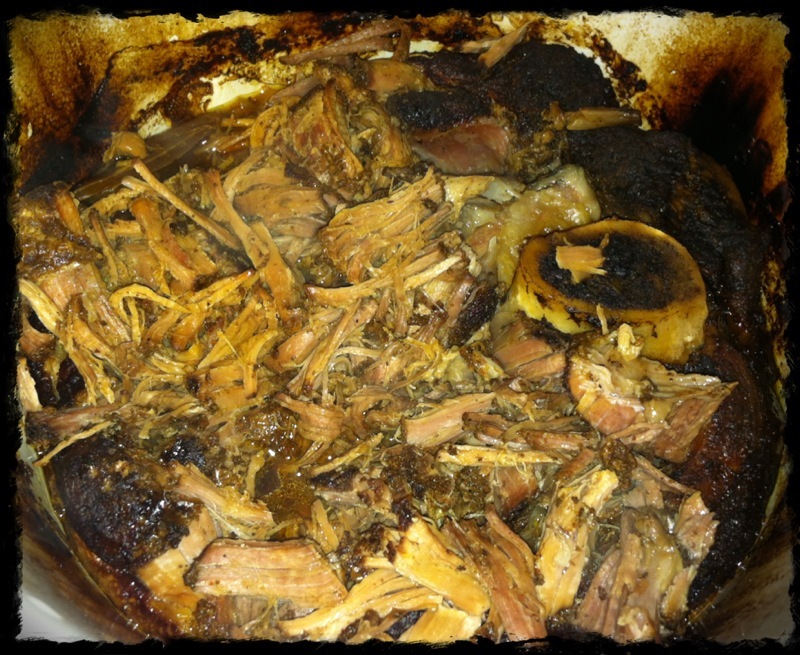 In the CrockPot, don’t mind the “burned” sides, I’m sure it’s fine, but I didn’t have time to scrub it down. Pulled apart so easily! Sampler plate for kids to taste 🙂 MMMMM! 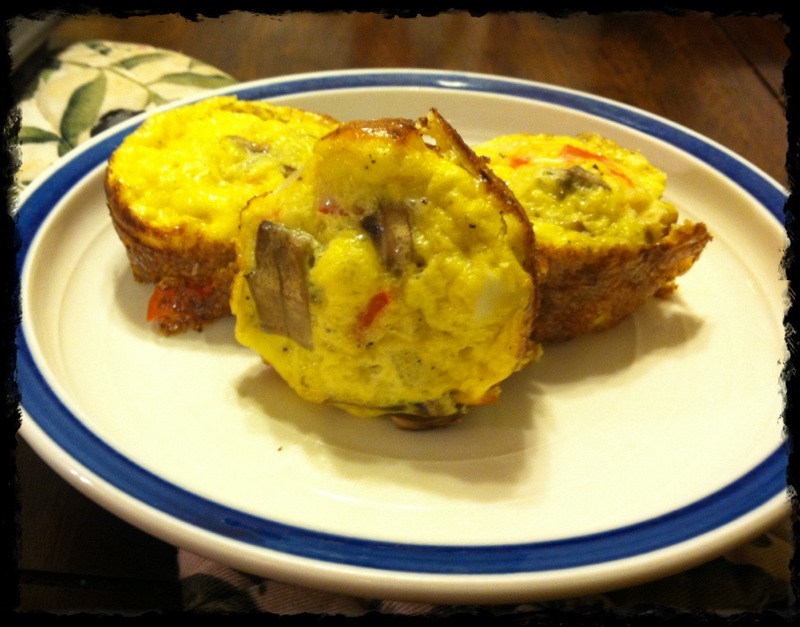 As for the egg muffins, I’ve read about them for a while now and although they sound tasty I am an OVER MEDIUM EGG or Hardboiled egg kind of girl. So scrambled and baked eggs aren’t at the top of my list. We have a lot of eggs we need to get through so I figured EGG MUFFINS would help use them up. I have a feeling we’ll be running out of eggs instead of figuring out what to do with them! 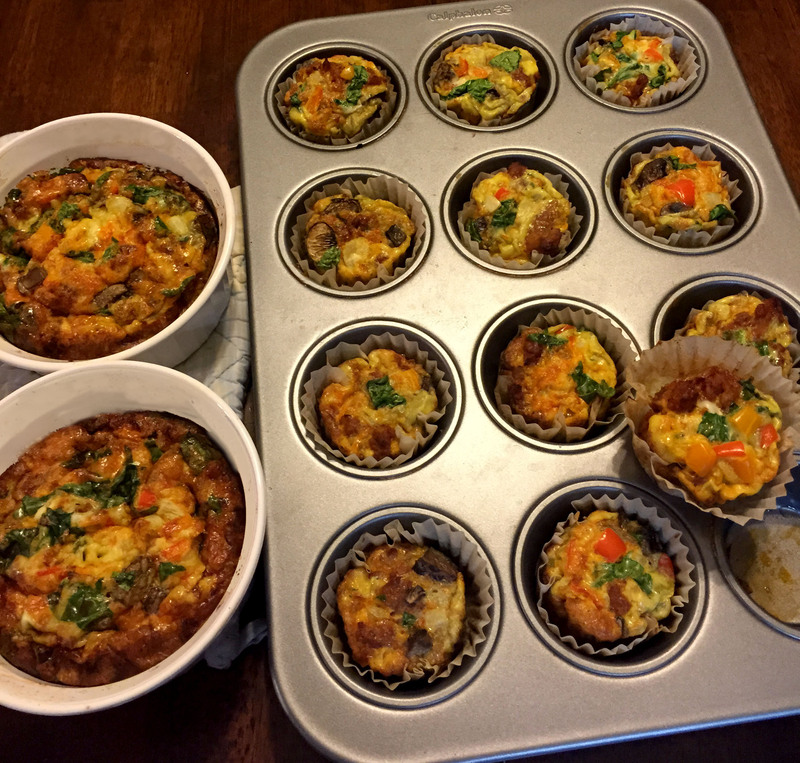 As I was perusing PALEO EGG MUFFINS I found tons of recipes. One stood out to me mostly because it sounded like my kind of muffin. I added and took away some things but in the end it’s very similar to the recipe over at EASY PALEO, which in turn comes from Paleo Comfort Foods, which I HAVE but haven’t flipped through it in a while, OOOPS! Ah well, I’ve slightly modified the recipe as to how I made them and I’m glad I found Jennie Harrell’s post at Easy Paleo 🙂 I’ve only read her About Me but she seems quite interesting and has a great story. Check her out! Fresh out of the oven. I should have included my boys hovering around in the pic! You can pretty much add any veggie that sounds good to you! Preheat oven to 350 degrees. Cook Chicken Sausage over medium heat in one pan and Saute onions in olive oil over medium-high heat in another pan for 2-3 minutes. Add peppers and mushrooms, and continue cooking for another 2-3 minutes. While veggies are cooking, whisk the eggs in a large bowl. Once veggies are cooked, remove from heat and let them cool for a few minutes. Dump them into the egg mixture, and stir well, sprinking in the salt and pepper. Coat a large muffin pan with oil. Add some chicken sausage to each muffin cup. 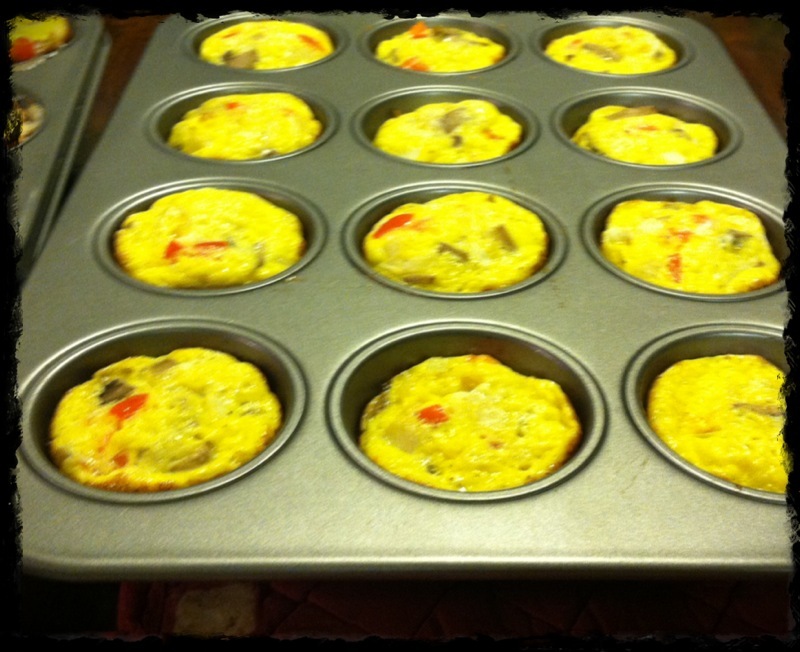 Using a 1/4 cup measuring cup, fill each muffin cup with your egg mixture. For me this was enough for 18 Egg Muffins! Place in oven for 10-15 minutes. The muffins get fluffy and golden. Remove from oven and eat em up. Store the rest in the fridge or freezer. Heat up when you want some more via microwave! Ready to serve. One batch browned a littler more on the edges but no concern there because they still tasted yummy! This was a big winner and easy to eat! Woohooo! As far as breakfast for me I had 2 egg muffins and some pork belly. I was missing out on the veggies but I think I’ll be ok Lunch will be comprised of Pulled Pork, roasted Broccoli and Cauliflower, Asparagus and 1/2 an Avocado. No fruit today in case you all may be wondering if I truly AM eating too much fruit. I’m not! It’s been a downfall in my past but not this time around! 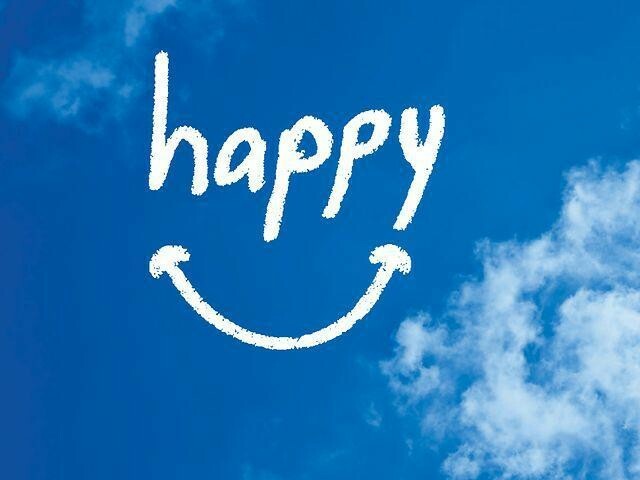 Your energy is ramping up, and becoming more consistent over the course of your day. You’re falling asleep easier, and sleeping longer and more soundly. You’re recovering from your exercise or sport faster. 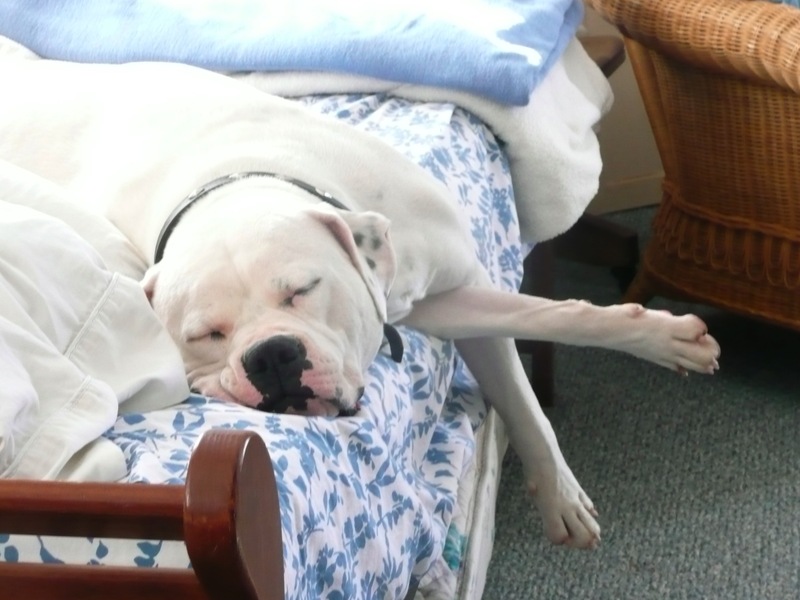 Symptoms like allergies, skin issues, digestive distress, and stress are gradually improving. 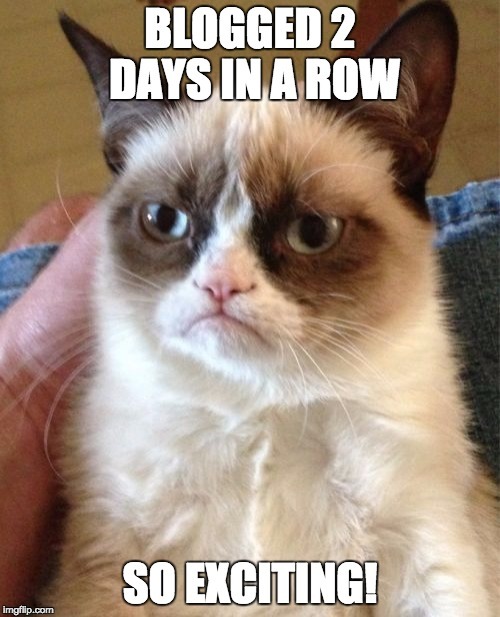 Mood swings, a short attention span, and crankiness are starting to be a thing of the past. 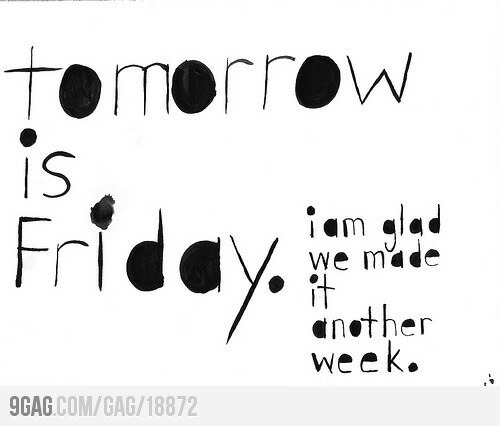 Looking forward to tomorrow since IT’S FRIDAY! 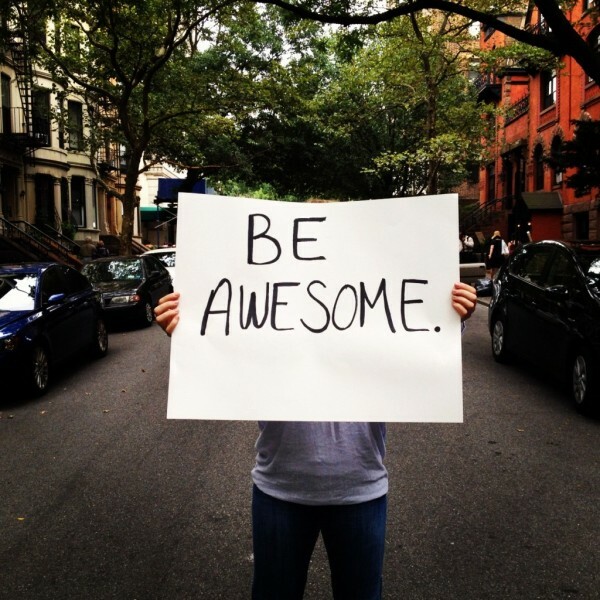 Be AWESOME today and every day from now on. GOT IT? Ok GOOD. Happy Thursday!